Some of you may have noticed on my website, and I've mentioned it on here as well, I am now offering styling by Coelle for all newborn sessions (also included in the newborn portion of the Belly to Baby packages) for new moms. I am so excited about this new addition, as it's extremely important to me that new moms feel super pampered and beautiful the day of their newborn session. "I went through the process of having a newborn session with my son one year ago, and figuring out what to wear for a photography session was a bit daunting only a few days after having a baby! I understand the importance of looking good and feeling confident the day of the session, but I also understand that this can be difficult for a brand new mom with a changing body and many other things to think about. Having someone to help go through clothing and accessory options prior to the session can save a brand new mom a lot of time and worry, and it also provides the mom with a little bit of time to focus on herself! 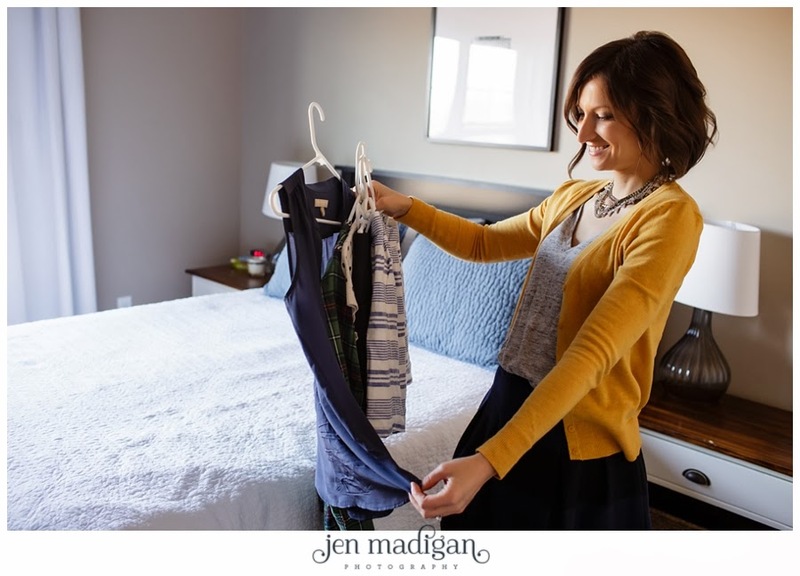 Additionally, styling provides reassurance that the entire look of the session will come together - as I will also discuss your significant other’s clothing choices and the blankets the baby will be wrapped in. As an added bonus, stopping by and meeting with the new parents before the session will allow me the opportunity to check out lighting and locations that Jen will use the next day. I am so excited to be providing styling as I believe that it will ensure comfort and confidence the day of the session as well as helping to make your photos personal, cherished memories." A few kind words from Aubrey about her experience working with Coelle at her recent newborn session with her son Liam. "It was so great to have Coelle help out with the styling of our photo session. She pointed out styling details I never would of even thought about, and made me feel comfortable with my outfit selection. Living so far from my girlfriends it was great to have another girls perspective on selecting what to wear, and she made me feel stylish at a time when I feel like I'm lacking in the looks department. Not only was she great with helping out in the styling process, but she also did an awesome job keeping my little guy calm and comfortable throughout the picture taking process. We deemed her "the baby whisperer" that day!"